Interviewing successfully requires connecting with the interviewer. Learning to listen effectively and build a rapport with someone who is interviewing you can be challenging. 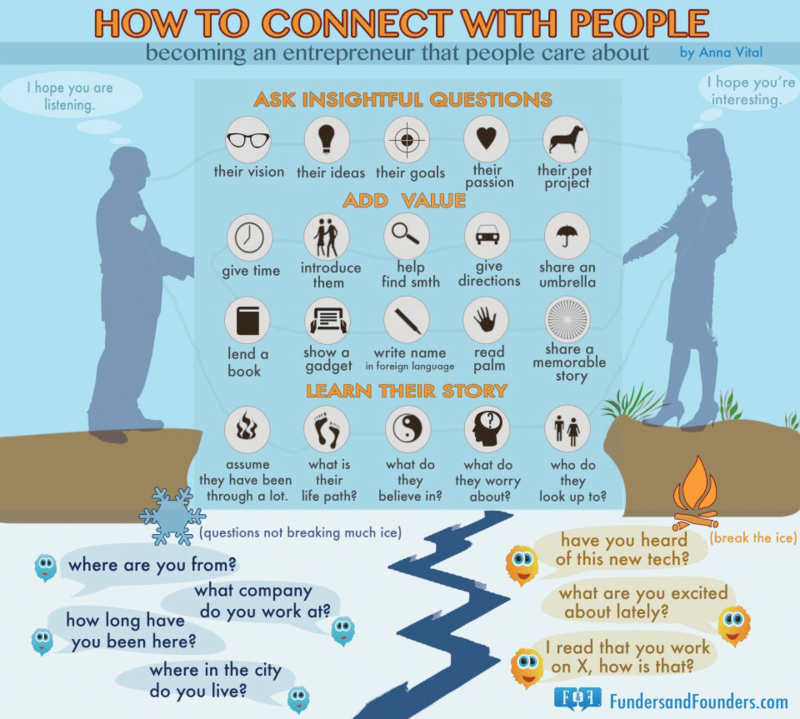 Anna Vital prepared the following infographic to guide aspiring entrepreneurs and help them become an entrepreneur people care about. The advice on how to connect is universally applicable. RECOMMENDATION: This infographic appeared in the terrific article called 6 Powerful Communication Tips from Some of the World’s Best Interviewers by Courtney Seiter. I strongly recommend you read the entire article.